Go to your Dashboard in your POEditor account and create a new translation project for your OS software. 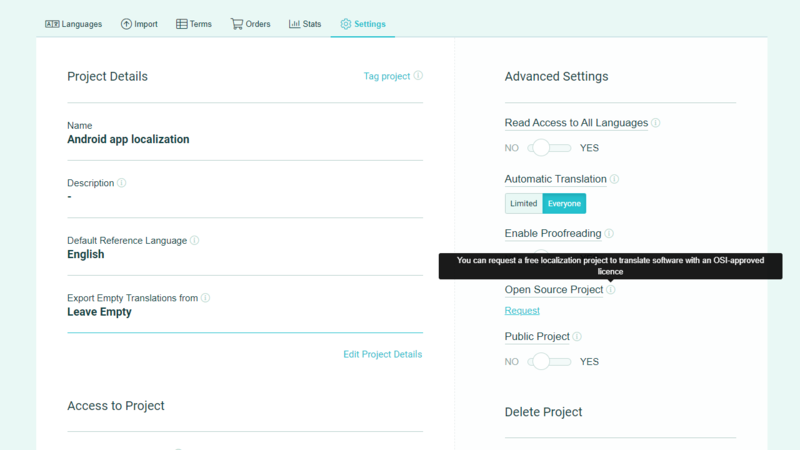 Go to Project Settings (see the side menu in the Project page) and in Advanced Settings, follow the Request link next to Open Source Project. Fill in the form with your OS project's details. After we review and approve your request, you will be able to translate unlimited strings from your OS software into unlimited languages and with as many contributors as you need.